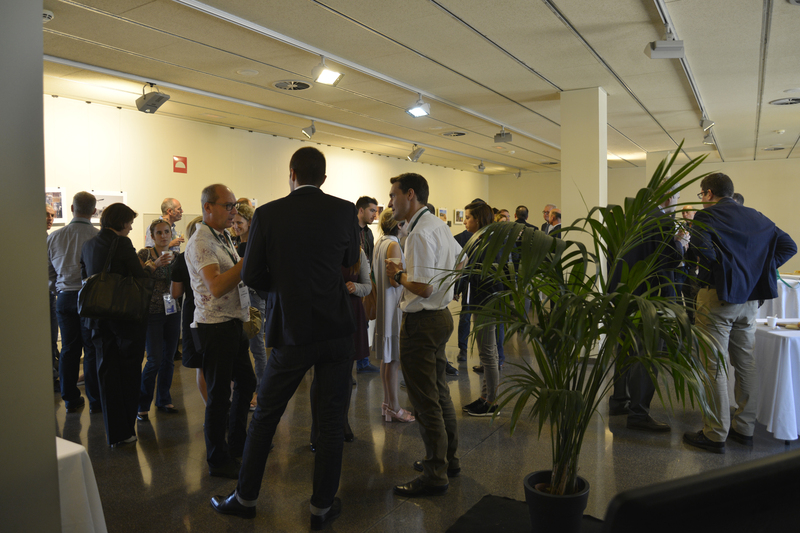 During the first day, held at the Technological Park of Lleida, welcome speeches surrounding the agriculture and plant innovation topics, as well as workshops focused on different thematic, were organized. In the welcome speeches, the congress included the active participation of personalities such as Lise Lykke Steffensen, the director of Nordgen, a Nordic organization dedicated to safeguarding plants, animals and forests while promoting the sustainable use of them. The organization is responsible for directing the operation of the “Svalbard Global Seed Vault”, located on a remote island between Norway and the North Pole, a bug-proof trunk where almost 1.000.000 samples of different crops are already stored. 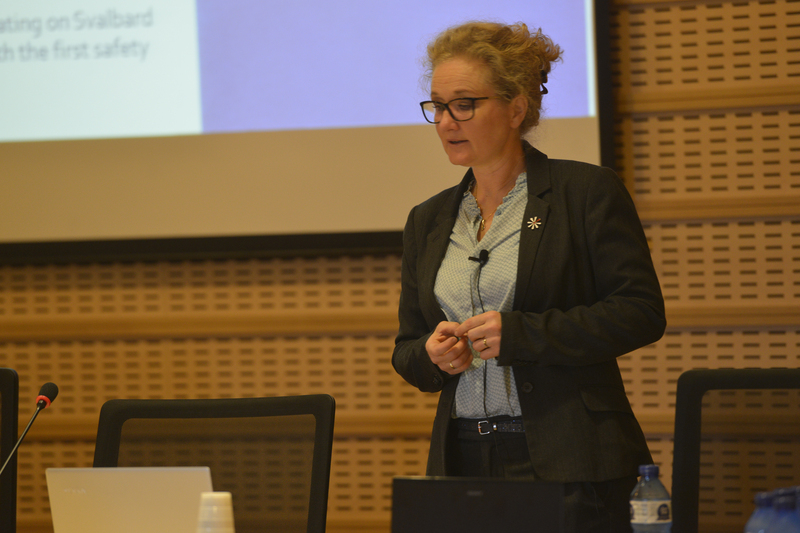 Her talk was focused on the operation of this storage device and on the importance of ensuring long-term conservation and use of crop varieties for food security worldwide, safeguarding the Biodiversity through an efficient global system. Opening speech also included the participation of Aurelien Susnjara, a research analyst at the British foundation, Ellen MacArthur, who introduced the new concept of Circular Economy in Agriculture. This section, ended with the intervention of Vincent Massot, a member of the French National Contact Point Bio, about the European calls H2020 for 2017 and the opportunities they present, focusing on the talk in Challenge 2 and the profile of companies that are eligible for these funds. During the parallel workshops in the afternoon, Henrik Lynge Jacobsen, the commercial manager of the Danish company Agrointelli, spoke about the future of the crop management project in which they are working now. Dr. Jaume Casadesús, researcher at IRTA, talked about the ICT solutions for the management of irrigation. 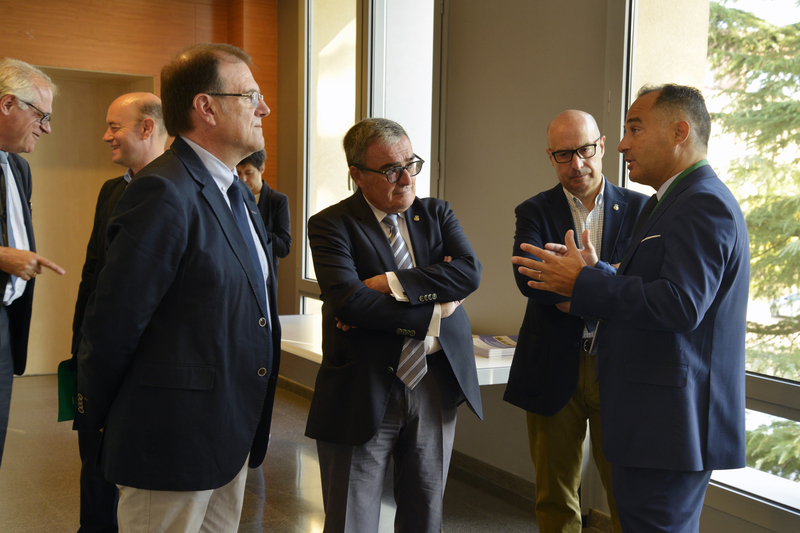 The second parallel workshop was around the digitizing in the Agro sector with the talks of Xavier Domingo, manager of the Research Line Smart Management Systems in EURECAT and Josep Pijuan, an advanced researcher in the same unit of Eurecat. The third workshop was the more specific one, focused on Technological Innovation for genetics and breeding with the intervention of Dr. Pere Arús, director of the Center for Research in Agrogenomics of IRTA. 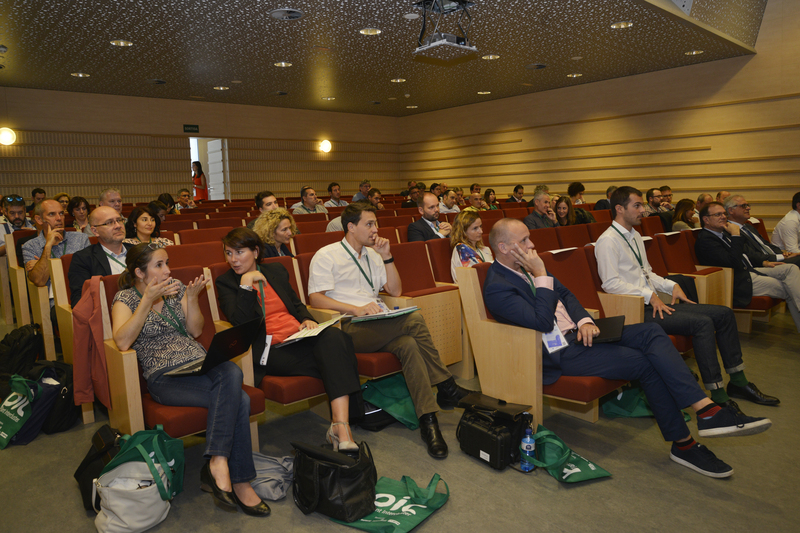 The fourth workshop revolved around intercluster cooperation were some examples where explained. 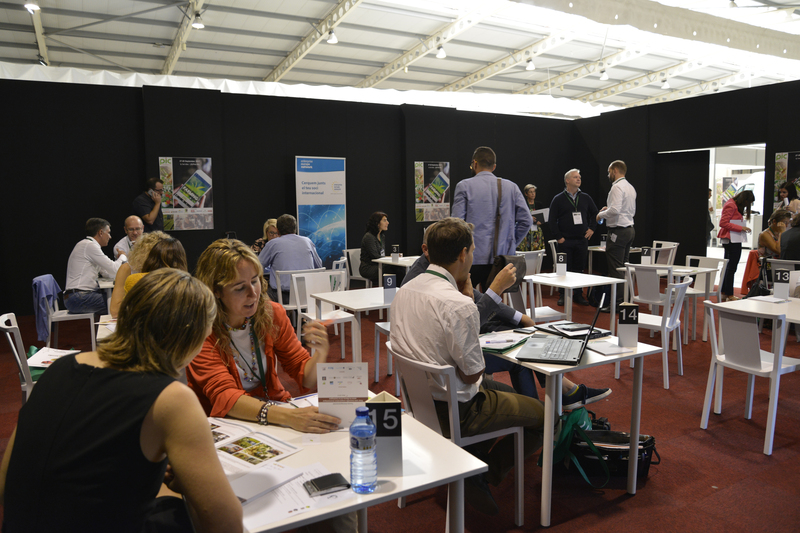 Thursday 28 more than 70 B2B interviews were celebrated at the pavilion 4 of Fira de Sant Miquel each of them of 20 minute meetings in length. The objective was to promote future strategic partnerships and develop new synergies. 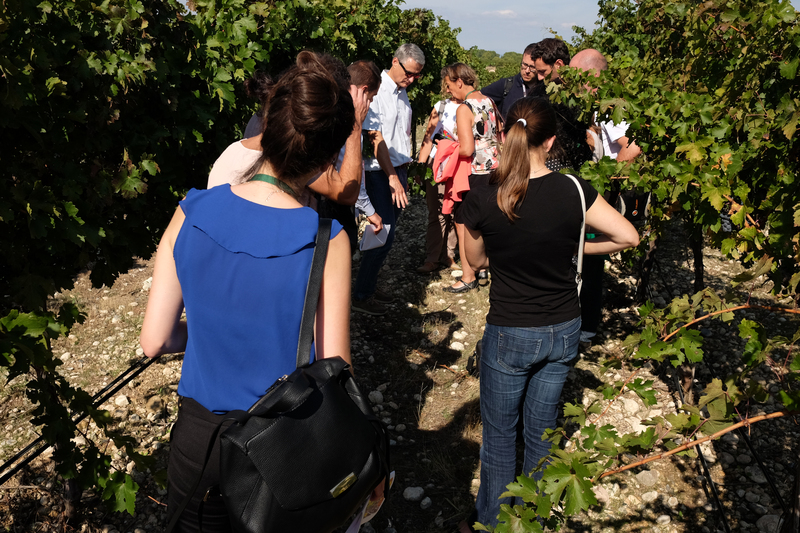 In the afternoon, the participants chose between two parallel field visits. One visit to IRTA-Fruitcentre and its facilities and the other at a Vineyard Plantation in Codorniu Raïmat (Lleida), where Agropixel SL explained the differential management techniques used because of the interpretation of got data hanks to the spectrometric images taken from the air.